The biopic is being directed by Teja and produced by Sai Korrapati and Vishnu Induri, and is said to trace NTR’s life, from childhood to his becoming the CM of erstwhile AP. HYDERABAD: Actor-politician Nandamuri Balakrishna’s much-awaited film, NTR, based on the life of his father and actor-politician late Nandamuri Taraka Rama Rao, was launched with pomp and fanfare at Ramakrishna Studios in the city on Thursday. The star-studded event was presided over by Vice-President M Venkaiah Naidu. The biopic starring Balakrishna, is being directed by Teja and produced by Sai Korrapati and Vishnu Induri, and is said to trace NTR’s life, from childhood to his becoming the chief minister of the erstwhile Andhra Pradesh. Speaking at the event, Venkaiah Naidu was all praise for the legendary actor and stated that NTR is the pride of Telugu people. 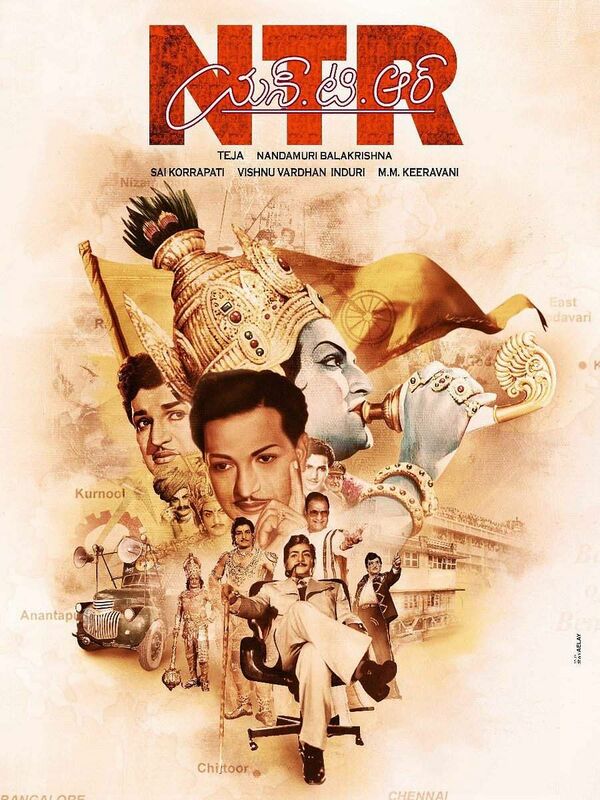 “Crores of people worship NTR as Lord Rama, Lord Krishna, Lord Vishnu, and many other gods. He upheld the self-respect of Telugu people at the national and international level, and created history in the world of politics and films. Balakrishna, who dressed up as Duryodhana for the first shot of the film, called it an honour to get to reprise his father’s role in this prestigious project. “These days, people are calling everyone a great personality. For me, NTR is the only charismatic legendary personality. His story would need a film spanning five-six hours. Our script has come out really well, and I take this opportunity to thank our producers, Sai Korrapati and Vishnu Induri, for coming up with the idea to make this prestigious project. It’s an auspicious day to us; it was on this date that my father rose to stardom with Pathala Bhairavi (1951), founded TDP in 1982, and oversaw the release of classics like Lava Kusa and Desoddharakulu,” he said.